The best meetings happen when you can whisk your attendees away from the distractions of the everyday, while serving up customized attractions that inspire them to clear the clutter and connect. 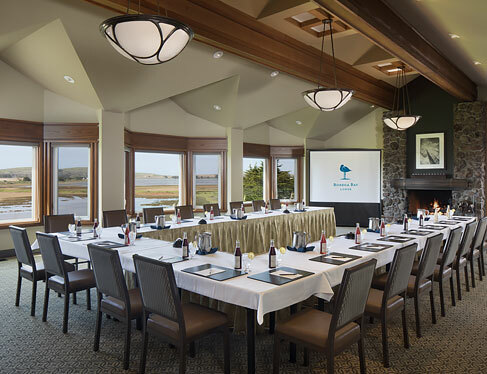 Whether you come to get away, perfect your team-building skills or accomplish lofty goals, the Bodega Bay Lodge provides a stimulating backdrop and inspirational event venues to spark ideas. 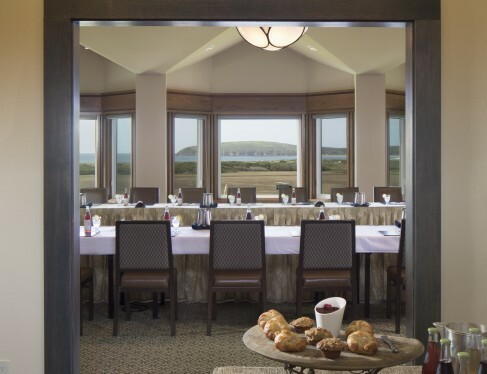 Function space accommodates gatherings up to 70 people – inspiring panoramic ocean views, massive fieldstone fireplaces, high ceilings and all the expected technology. Count on the services of our poised event staff – a dedicated team who takes great pride in delivering signature extras that make each member of your group feel appreciated and at ease. Marvel at fresh, farm-to-table Sonoma Coast cuisine, lovingly prepared in Drakes kitchen under the masterful eye of our Executive Chef. The Den (390 sq. ft.) - - 12 15 - - 20 12' 25' x 15'6"
Newly renovated, these meeting rooms offer flexibility and convenience and can be reserved separately or together. Combined, the Chart Room serves as a great morning launching place for breakfast or reception and bar area. Both rooms offer direct access to the Waveside Patio making for the ideal pre-function area, or as a venue all its own for cocktail parties and gatherings. 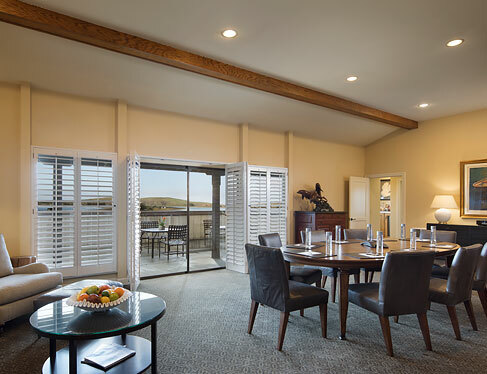 The Waveside Room offers an inspirational setting for executive retreats, business meetings, receptions and private dinners for up to 70 people. 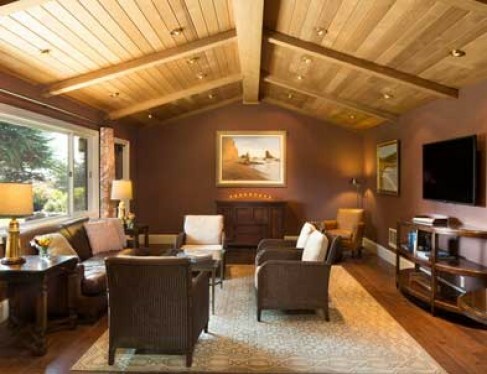 Your guests will enjoy panoramic bay views, high ceilings and massive fieldstone fireplace. The Chart Room features high ceilings and ample morning sunshine great for stimulating boardroom meetings for up to 12 people. The built-in credenzas are perfect for coffee stations or buffet presentations to keep your attendees fueled through the day's discussion. Accommodating up to 20 people, this intimate second floor retreat features a fireplace, couch, comfortable lounge chairs and audio/visual equipment for presentations. The sumptuous 600 sq-ft patio boasts unobstructed views of Bodega Head, Bodega Harbor, Bodega Bay, and the Pacific Ocean beyond. The Den, conveniently located off of the Lobby of our Lodge, is a relaxed private environment for casual meetings for up to 16 people. Natural light streams in through the large picture window onto a living room arrangement creating a sense of comfort and relaxation for the day's explorations. The private patio directly connected to the Den is an ideal lunch destination for your group to take in some fresh air. The Den also comes readily equipped with a 54" TV/Monitor for high quality presentations and serves as a great post-function/afterglow event space given the insulated location away from the guest rooms allowing for the later evening festivities to continue.